How true. 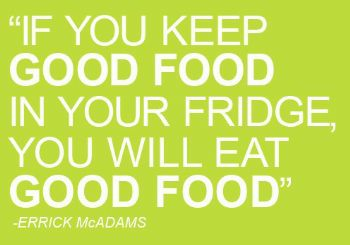 But you have to watch out for the stuff in the pantry, too! I agree, if you have bad things around you will eat them. My 11 year old loves dessert, I taught him Yoplait yogurt, a little french vanilla granola and a dalup of cool whip, he lives it and it's healthy.